As a marketer, are you using social media to reach the 67.4% of internet users who are on it? If not, you’re missing out on a huge audience base. Marketing #FOMO, anyone? Social media is now status quo in a business’ digital presence. Users expect to see their favorite brands on social media and are having conversations about your brand—whether or not you’re a part of them. 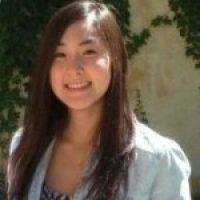 And these users are multiplying rapidly—research from Social Media Today shows that 12 new active mobile social users join every second, so in the time it’s taken you just to read to this point, 180 new users have already joined a social platform—180 new users who could be part of your target audience. As both a marketing channel and activity (or set of activities), social media marketing allows you to connect with fans, customers, prospects, and partners in a meaningful way. It allows you to actively engage with your buyers, across the entire customer lifecycle, on the platforms they actively tune in to for information. And social media marketing encompasses more than the traditional platforms and capabilities that many marketers are familiar with (e.g. Facebook, LinkedIn, and Twitter). There is so much more that marketers can and should explore. But with constantly evolving platforms that introduce new features all the time, having a solid strategy in place and keeping track of up-and-coming features is critical. Because social media platforms are where people increasingly spend their time, it’s naturally a great way to keep in touch with your audience, offer them insight into your brand’s personality, and share valuable content. Do this well, and you’ll have a loyal base of followers, subscribers, and more. But that’s not the only way you can build awareness and preference. In the past, influencer marketing was typically owned by your PR team, who tracked and cultivated relationships with key players in your industry and market, but social media has changed the name of the game. Now, it’s critical that you not only identify “social celebrities” (commonly known as influencers) who love and engage with your brand, but everyday people with a large network and influence. 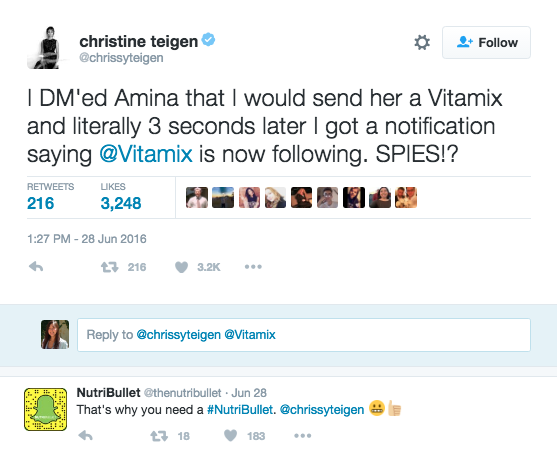 Chrissy Teigen recently caused a social media storm, dubbed “Blender Wars,” when she responded to a fan who Tweeted at her saying that she went on Amazon to buy a blender and ended up buying Chrissy’s cookbook. Why does this matter to you? It’s how the savvy social media marketers at some of the blender companies jumped onboard to seize the moment. It’s an example of social media marketing at its best—listening and responding to real-time conversations, especially to users with a significant following. to a conversion or sale, either immediately (sometimes even on the platform) or by bringing in new marketable contacts into your database and nurturing them across all channels. With offers, promotions, contests, and content, you can engage your audience more deeply and drive conversion—from a form fill to a purchase. Not to mention, you can use these platforms to do social selling, which involves reaching out to your buyers on a 1 to 1 level to accelerate them toward a purchase. Many marketers use their website as the ‘home base’ for their marketing activities, but how can you direct buyers to your website if they can’t even find you? An important part of getting people to your website includes your ranking in organic search results, which is where search engine optimization (SEO) comes in. Links from other websites back to an organization’s website serve as proof-points and indicators to the search engine algorithm that your website offers relevant content around your pool of keywords. These links can come from a variety of activities, but social media marketing offers marketers a relatively simple way to earn links by delivering relevant, shareable content to their followers that links back to their site. 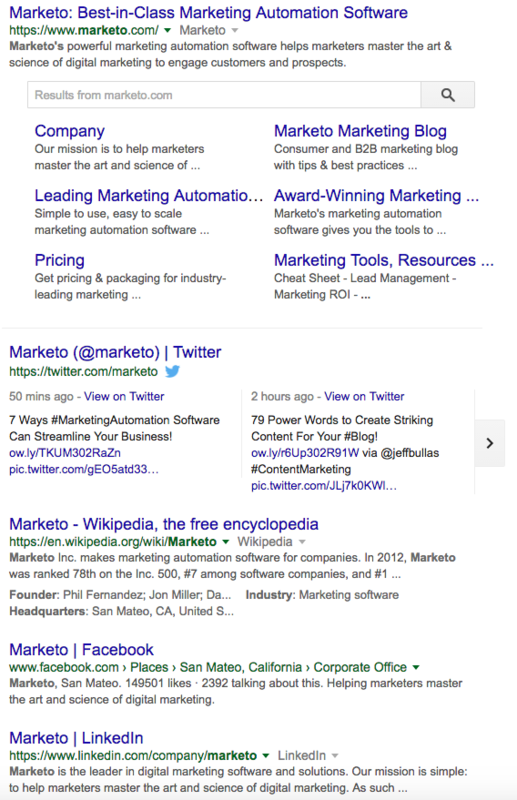 For example, in a depersonalized search of the keyword “Marketo,” three of the top five organic search results that appear are our accounts on social platforms: Twitter, Facebook, and LinkedIn. Just like any other successful marketing channel, social media doesn’t work in a silo. Many great brands use social networks as a critical component of their marketing mix and communications, but it’s important to understand that social media marketing is most effective when its messages and content support and reinforce those on other marketing channels. Coordinated messages across channels (including social media) allow marketers to carry on a continuous conversation over time with their audience. A recent Nielsen Survey on trust in advertising found that only 33% of buyers believe what a brand says about itself. The same study showed that 92% believe what their peers have to say about a brand. From brand awareness to influencer engagement and peer-to-peer sharing, social media marketing is not a soft metrics-only channel. Today, it drives real and trackable revenue attributed to your social media marketing activities. With the help of the right tools, like marketing automation and a social media management platform, you’re not only able to listen and respond to your audience across channels, but track the revenue associated with your social media marketing activities—making its impact crystal clear. Learn more about these benefits and how to create #winning (and measurable) social media marketing campaigns by reading The Definitive Guide to Social Media Marketing. This comprehensive guide covers everything from how to develop a social media marketing strategy—identifying your audience, mapping your goals, and creating content—to choosing the right platforms, structuring your team, integrating social across channels and with your existing technologies, measurement, and more. 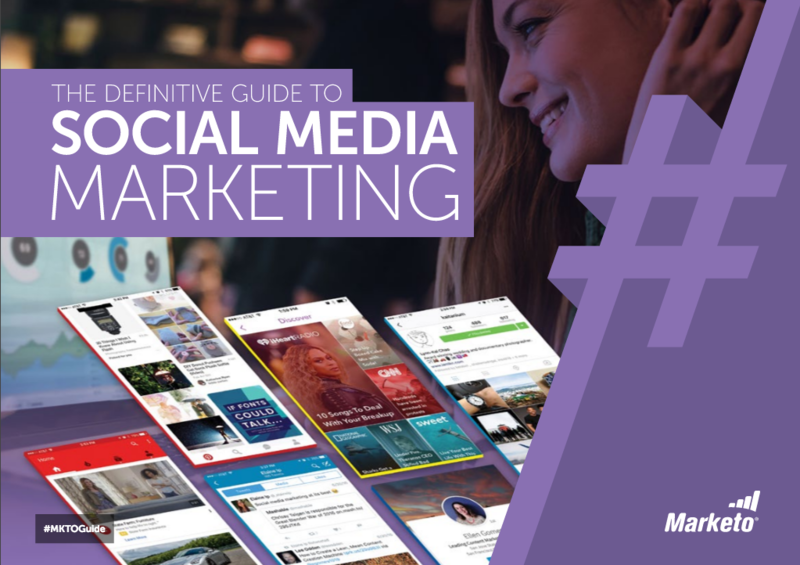 The Definitive Guide to Social Media Marketing is your one-stop guide to creating an effective social media marketing strategy that drives value across the customer lifecycle and throughout your organization. Download it today!